The MPA Baseball Camp is a great place for any young baseball player who is looking to improve his/her skills, work hard, make new friends and have fun. 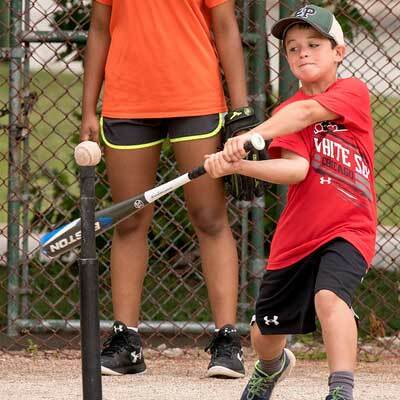 Campers will be placed into age-appropriate groups and will work on all facets of the game including hitting, fielding, base-running, and pitching. Detailed instruction will be provided in all aspects of the game. The Academy offers players a well-maintained field and two indoor hitting cages. Want to really excel at basketball? 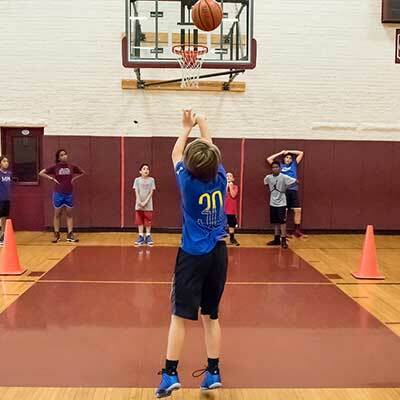 We have just the basketball camp or program to help you transform your game. We strive to cover basketball fundamentals and team oriented play while creating a positive atmosphere where boys and girls will learn and have fun. Our skilled coaches work with each athlete to develop the skills of passing, posting and scoring in the paint, offensive and defensive rebounding, blocking-out, fast break outlet passing, using screens, and shooting. In addition, players will work on how to get open, footwork, triple-threat position, one-on-one moves, ball handling and passing skills. Athletes who attend this camp will leave the camp with a better understanding of the game and the individual requirements of each position on the floor. Get ready for two weeks of Flag Football and fun! 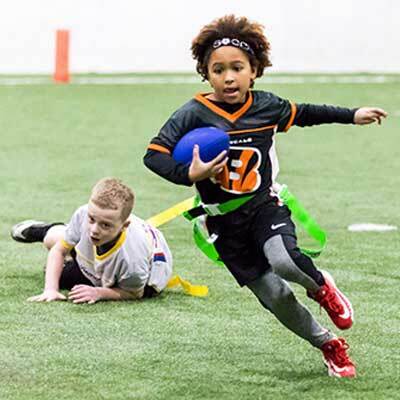 At our Flag Football Camp, we focus on building skills and gaining confidence with basic and advanced techniques. Players also benefit from technical and tactical training with age-appropriate activities such as tactics under pressure of an opponent and game conditions. We keep it fun and lively! Register Your Child With Us Today!